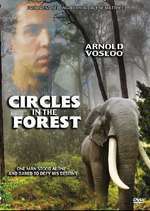 Set in the Knysna Forest in 1878, Saul works with his father as lumber jacks in the African jungle. They both do not get paid much, which makes the two hunt for elephants for their ivory. Saul, however, has become friends with one of the elephants, and refuses to join in hunting them. His father then throws him out and Saul then works with another wood mill. They still do not treat him well, but he has fallen in loved with the owner’s daughter. This has to be kept a secret by all means.